Restoring a gap at the front of your mouth with a single implant and crown provides the most long-term and aesthetic results. Because the implant itself fuses with the bone of the jaw, the implant tooth will be strong, stable and act just like any other tooth in the mouth. 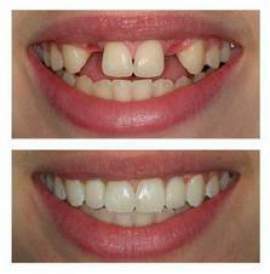 Replacing a single tooth with an implant gives hugely aesthetic results. 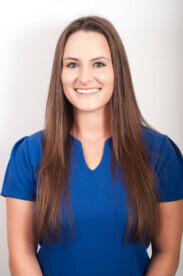 We work closely with our laboratory to create individual, cosmetic crowns to complete our implants. The porcelain used is of the highest quality and shades are expertly blended by our experienced technicians to give a natural finish. As dental implants maintain bone levels that would normally deplete in the absence of a tooth, the gums surrounding missing front teeth replaced by dental implants have a natural fullness; this gives the lips and soft tissues appropriate support for a youthful appearance. 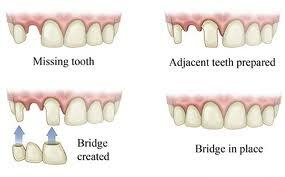 A single tooth can also be replaced by a conventional bridge, an adhesive bridge or a partial denture. 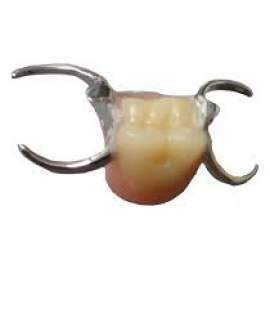 A conventional bridge replaces the gap by attaching a false tooth to caps/crowns seated over the prepared adjacent teeth. An adhesive (or Maryland) bridge restores the gap by attaching a crown to the backs of adjacent teeth with metal or fibre wings. 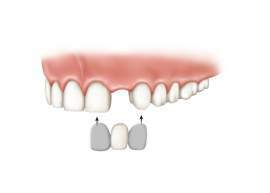 A partial denture is an acrylic or cobalt-chrome prosthesis that can be inserted by the patient to replace the missing tooth. It is held in place through adaptation to the remaining teeth and possibly through clasping some teeth.